As you may know, I have a thing for embroidery. I also have a thing for anatomy and old biology charts. Hence I really love this piece of embroidered art by Dan Beckemeyer that I recently saw on Colossal. 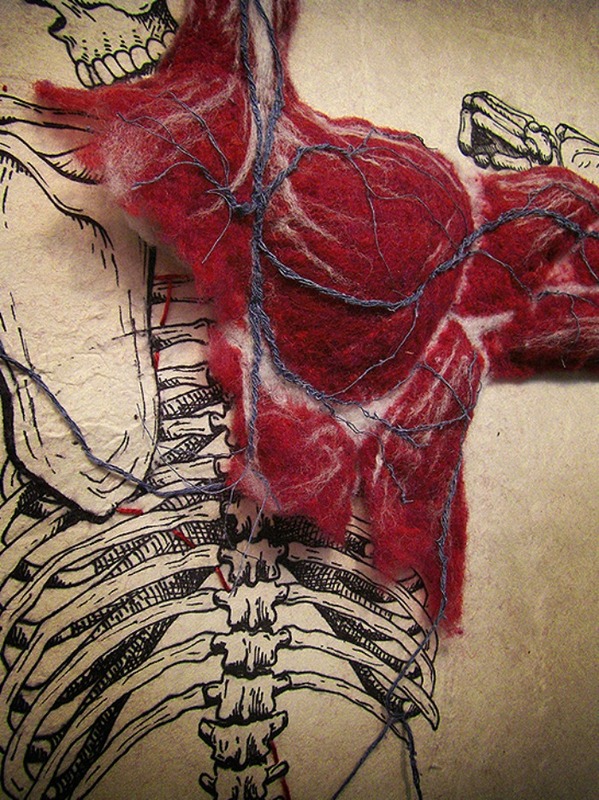 It is an illustrations of the human body with hand-felted body tissue and embroidery arteries. I think it is beautiful. To see more pictures, follow this link. Wow, that's really brilliant. I love anatomical drawings too - just need to find one for the house!